Basically what this post is gonna be about. As I sit here writing this, I think to myself “You know, this post is as much for myself as it is for the readers,” and it’s true. It’s impossible to read a comic and address every interesting aspect of it every time. That’s why I came up with these questions for reviewing comics to ask myself while reviewing. I wanted a good list of solid questions to stimulate thinking and help me figure out why a certain comic strikes me as done well and why another might feel like a hack job. In short, I got 99 questions, but a female dog ain’t one. Questions also make for good ways to discover hidden facets by thinking about something in different ways. They also stimulate a little extra intellectual excitement when reading. The tricky thing about finding an answer is knowing what question to ask. That’s kind of what I’m trying to get at here–how difficult it can be to understand something when you don’t even know where to start looking. Some of these questions I came up with using the awesome power of my brain and others were inspired (stolen) from some great resources I read while conducting a meta-review of comic book review technique and research literature aka typing “HOW TO REVIEW COMICS” into Google. 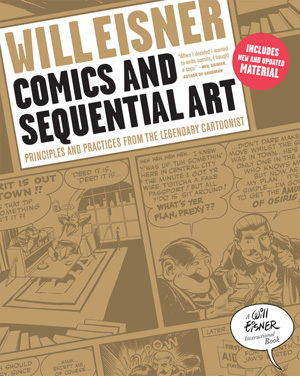 For my money, the two indispensable references are “Understanding Comics” by Scott McCloud, and “Comics and Sequential Art” by Will Eisner. We have word or thought “balloons,” not “bubbles.” The balloon’s “tail” is the part that points to the speaker. A horizontal row of panels is called a “tier.” Traditionally, superhero comic pages often utilized three tiers, while “funny animal” or comedy comic pages utilized four tiers. A single-page illustration is a “splash,” which can sometimes have an inset panel or panels. A page layout with repeated, same-size panels is called a “grid.” Famously, “Watchmen” is based on a nine-panel grid format. “The Dark Knight Returns” utilizes a 16-panel grid. Here’s one principle: don’t color like you’re 5. ELEMENTS OF ART: The visual components of color, form, line, shape, space, texture, and value. PRINCIPLES OF ART: Balance, emphasis, movement, proportion, rhythm, unity, and variety; the means an artist uses to organize elements within a work of art. – Clarity is key: Does an action sequence make sense? Can you distinguish between supporting characters? Can you follow the panels and the page to tell the story? If the answer is no to any of these things, the book likely suffers for it. Clarity in art is a broad idea, but an important one to bring up when talking art. 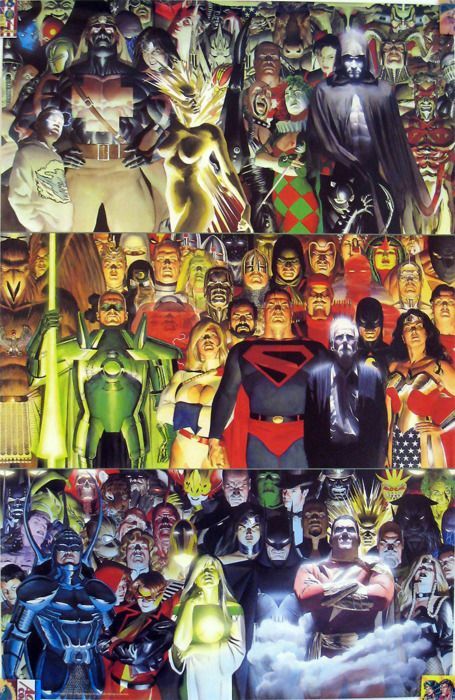 – Don’t forget the cover: There is one highly prominent piece of art that goes virtually untouched in each and every issue: the cover. Now, obviously this is different than the interior storytelling, but covers often are often incredible, engaging pieces of work with a story in them (see: Yuko Shimizu’s work on “The Unwritten”). If something stands out about this work, factor that in where you can. Gabriel Hardman: The biggest thing comics reviewers need to understand is that they’re already reviewing the art. Storytelling and art can’t be separated in comics. There’s no other way to know what’s going on. 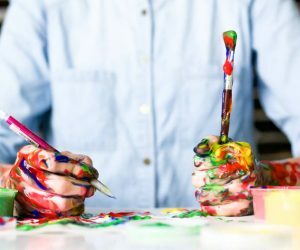 If you’ve read a great story that’s not just down to the writer, the artist is equally responsible for telling that story through the visuals. It’s that simple. Art in comics doesn’t equal pretty pictures, it equals storytelling. A really great process centered piece as the author actually goes through some comic panels from recognizable classics and shows how he approaches analysis and reviewing. Critically, Helvie gives weight to both analyzing the art and the writing. When I first read The Watchmen, I did not enjoy the aesthetic of Dave Gibbons. I preferred more stylized superhero renditions as seen in John Romita Jr., Mike Zeck, Alan Davis, and other contemporaries of that day. Since that time, I have since grown to appreciate his mastery of panel composition and line control that help deliver the clean and controlled “flavor” that permeates this milestone mini-series. Characters and conflict. There is a lot more to a good story, I know, but for my part, these are perhaps the two most important ingredients to a compelling narrative. The “where” and “when” can change from the antiquities of the past to the far reaches of a galaxy, far, far away. When we talk about developing character, hearing from them through smartly chosen dialogue or interior monologues through captions can go a long way to helping drive the story. A follow-up article by Helvie that goes into more technical depth on reviewing the art elements of a comic. Make sure you check out all 3 parts by clicking on to the next pages at the bottom of the article. The first part focuses on an overview of his thesis and recommended reading, second part goes technical into the artwork, and the third part is an interview with pros on the comic journalism beat. The most valuable part is when he discusses specific aspects like line work, inks, color, etc in Part 2/page 2. He specifically includes some of his own questions for reviewing comics that I may have cribbed slightly. 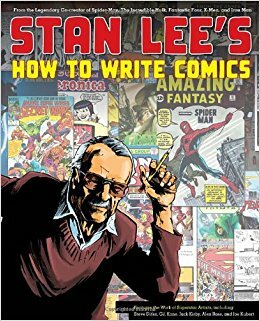 You get a nice intro to a cognitive interpretation of comic theory from this free ebook preview. Of course, reading the whole thing will cost you, but from what I’ve read so far this looks to be a nice academically rigorous text on comic criticism. It’s notable how much depth the author goes into when specifically tying the meaning-making process of the reader to the comic form. Each concept is illustrated immediately by applying it to a comic strip example–a good aid for understanding. Karin Kukkonen is Balzan Postdoctoral Research Fellow at St John’s College, University of Oxford, UK. Her research focuses on the emergence and development of comics as a narrative form during the twentieth and twenty-first centuries. 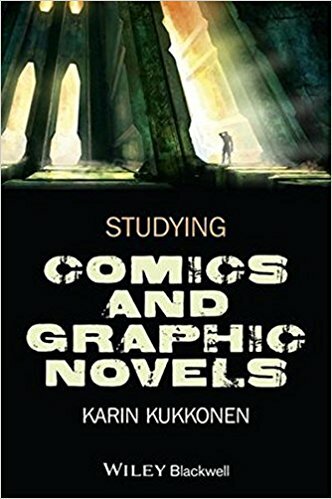 Dr Kukkonen has published work on metaphors, metafiction, and multi-perspective storytelling in comics. Her recent monograph, Contemporary Comics Storytelling(2013) examines how the comics of recent years engage with the legacy of postmodernism. Okay, so this one is kind of tricky. 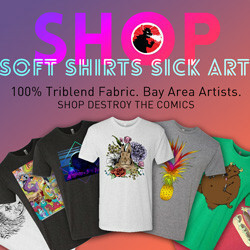 It’s a tumblr blog by an artist, but a lot of his older posts dig deep into the craft of comic creation. It’s the real nitty gritty of panel layout, blocking out visuals in a panel, and character design that really help you be aware of the choices made and how important they are. You can get inside the head of a comic artist, helping you better analyze the visual aspect of a comic. An excellent primer/book review of that sequential art treatise I mentioned needing to buy and read before I embarrass myself. Cederlund highlights Eisner’s contributions in thinking about the form that comics take and how they were more important than the writing, at least to Eisner. People just didn’t have rigorous eyes towards the art of the comic and, arguably, still don’t give too much attention to “reading” the art. When, in the end, he finally gets around to talking about the relationship of a writer and an artist, he describes an illustrator as someone who merely draws what the words say while a visualizer creates lively drawings so that the words become unnecessary. He wants his cartoonists to be visualizers because the image that the reader encounters is the central point of contact that the creator has with his audience. The cartoonist brings the story to life and moves the reader through space and time with methods that are completely unique to comic books. For both pin-up artists and those who merely churn out pages, blindly following a writer’s script like some kind of instruction manual, Eisner had a word for them: illustrator. They weren’t storytellers. Regarding that second quotation–DAAAAAAAAAMMMMMNNNNNNNNNN SHOTS FIRED! To Eisner, the ability to create a comic is its own form of writing. Just like the act of reading a comic is similar but different than the act of reading text, a cartoonist is an author who is using a different set of tools than merely words and sentences. He or she is using images and time in ways that no other medium could or is even capable of. If you don’t know them, the CBLDF is a non-profit organization protecting free speech, specifically in the case of comics. I always see these guys doing panels at cons so they’re pretty active in the community. 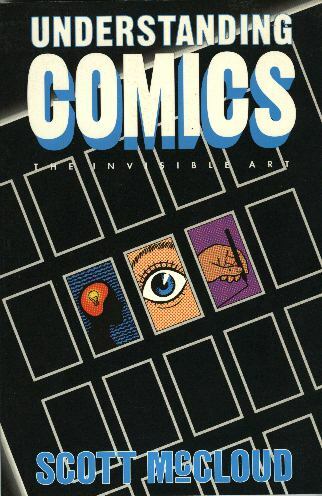 For questions on specific works vs just questions for reviewing comics, the CBLDF has a decent list of discussion guides for some of the classics of the graphic medium including The Killing Joke and Watchmen. A short blog post on reviewing–getting outside of the big two publishers, deciding on a thesis, suggested length, and basic writing tips. This article isn’t about reviewing comics, it’s about reviewing screenplays. However, comic writers write out the comic in script form so a lot of the tips here make sense for reviewing comic writing as well. Both theater/film share movement through time with comics as a key aspect of the medium so it’s no wonder they all use script form writing. You’ve got to take notes down as you read through the script. What I like to do is break it down by groups of pages. For example, after the first page, I might write down a quick impression of what I got in the writing. Remember, first impressions are important in a screenplay. The first few paragraphs can often be what pushes the reader to keep reading. If they’re not impressed on that first page, then you’ve got a problem. Can you look at the art without the dialogue and still have a good sense of what’s happening? When are single page splash’s used? What is their purpose when used? Does the art match the extra use of page space–more detail, bolder figures, complicated compositions, etc? Are double page spreads used? What are these scenes depicting? The artist spends a lot of time creating these pieces so you should pay attention to these. Does the art seem to support the writing or do they seem disjointed? Are objects recognizable as what they are meant to be? Is movement communicated effectively in the artwork? Are the action scenes dynamic and exciting? Are they confusing and hard to follow? Are there any similar elements used throughout the art? How does the artist lead or control the reader? Movement through time is one key difference between a painting on a canvas and the art in comics–how does the artist express this temporal movement? Can you tell time is passing as you read through the panels? Are there sudden temporal shifts–time skips–or does it seem to flow more regularly like perfectly measured ticks of clockwork? Can you clearly tell what happens in between panels–when your eye moves across gutters–that isn’t depicted in the art? How is the cover art? These pieces get a lot of attention since they’re the first thing seen and are meant to draw readers to the book. Does it work? What does the chosen scene reveal about the rest of the story’s focus? Is it a different artist? Is anything exaggerated–proportions, expressions, poses? Is there a meaning to the exaggeration? Are the scenes drawn more 2 dimensionally or 3 dimensionally? Is there depth or is it flatter? How is perspective used? Are there unusual perspectives in some of the panels? Is it realistic or is it deliberately fudged a bit? Why? Who are the artists? What’s notable about their style? Is the art stylized in some way? Is it realistic? Is it cartoonish? Are the forms more abstract–does the art attempt to distill the essential parts of depicted things or is the art more focused on realistic reproduction? Does the style reinforce some theme or aspect of the story? How are textures portrayed? Flat? Realistic? 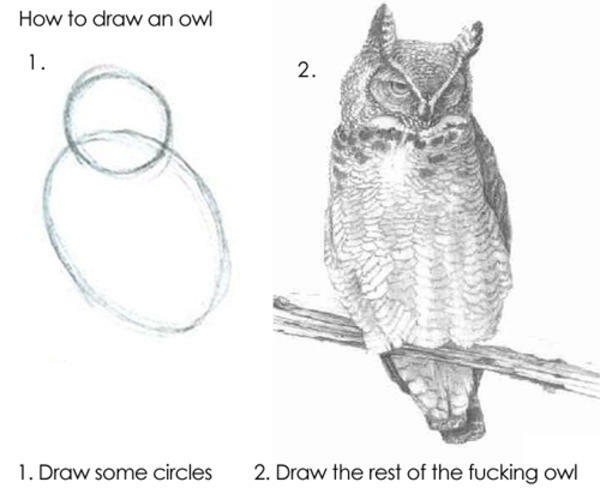 A great step-by-step tutorial on drawing figures. Are the character designs unique? Are they unusual or odd? What elements of the design reinforce the character’s role? Do the character designs lean heavily on distinguishing clothing or objects for distinctness? Do the body types vary with each character or are they just costume swapped copies? Do figures appear anatomically correct? Do detailed parts of figures like hands, feet, and expressions look correct or are they awkward? Is there a difference in skill when the artist draws animals vs humans? What kind of poses are used for the characters? Do they make sense? Do they look unnatural? 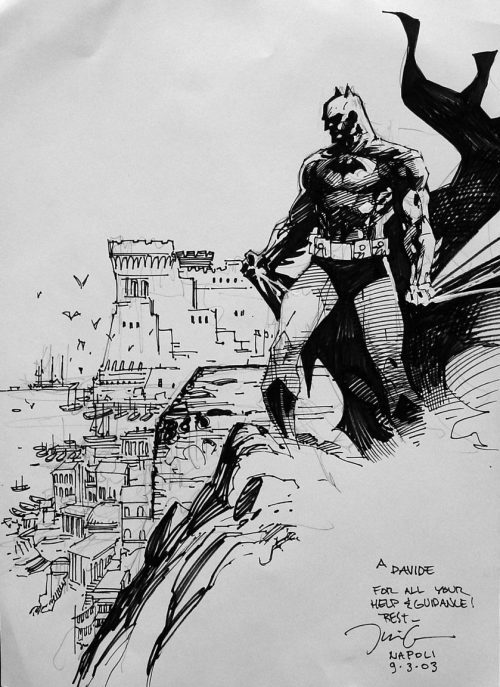 Simple but nice Batman composition with Batman with Batman in the upper corner, a foregrounded cliff, and sketched out background city. Which scenes are symmetrically balanced vs asymmetrically balanced? Why were they composed that way? 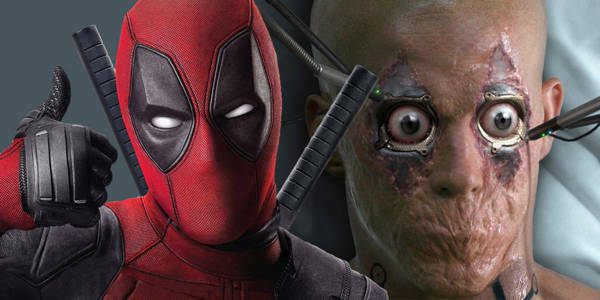 Is there a mix of the two that keeps the eye from fatiguing? How is negative space used? When is it used for focus or to convey something in the story? What is in the background vs the foreground? How much detail is drawn in the background? Is there foreshadowing in the background scene? What’s the ratio of detail in the foreground to the background? Do scenes depicted in the panels have focal points or are they confusing? Are confusing panels done on purpose to support the action and writing? Within a single panel, do the drawn figures and objects have a certain flow or pattern to the series of drawn things? Within a panel, is there a clear visual hierarchy in the scene? If the main elements of the scene were in silhouette, would you still be able to tell what has primacy? No, I think you should use even more black ink on everything. Are line weights used appropriately? Do varying line weights highlight or help certain figures stand out more? How can the line work be characterized? Clean and straight? Rougher and messier? Angular? Organic? How heavy is the ink usage? A lot of darkness on the page? 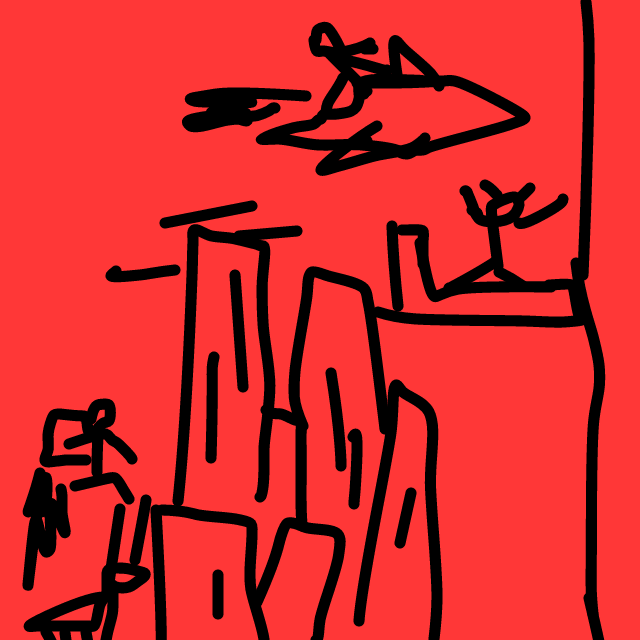 Big expanses of ink and line vs open fields of color? Are line weights used to help differentiate subjects? Do the colors used express moods consistent with the panel context? Are they used effectively in conveying emotions, tones, moods? Do the colors evoke certain emotions for certain scenes? Which emotions? Do they contribute to the atmosphere? What kind of atmosphere is created? Does a single color or group of colors dominate the comic? Are certain colors used more than others? How intense are the colors used? In terms of the overall color, how bright or dark is the art? What is the value of the lightness/darkness of the tones? Are there large blacked out areas in certain scenes? Are some colors connected with other colors? Do they appear together continually? Are colors bright and punchy or more muted and flat? Do the colors help produce a tone of realism or do they contribute to a more fantastical mood? Would more color help emphasize something? Do the colors complement the story or are they distracting? How is contrast used? Is it used effectively for emphasis? Do shadows and light make sense within the context of the story or do they seem rushed? Oh yeah, I did all the lettering myself–impressed? 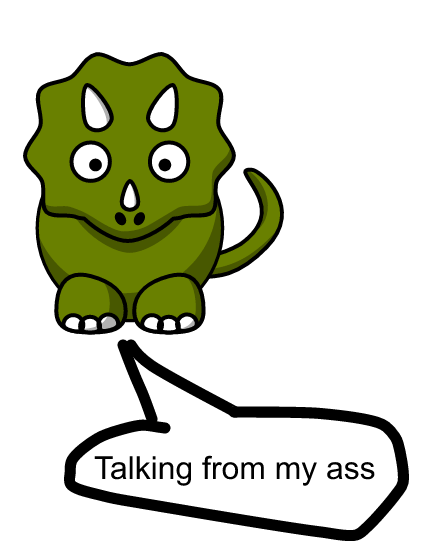 Are the captions and speech balloons placed well? Do they detract/distract from the art or do they harmonize well with the composition? Are lettering effects applied to specific captions and speech balloons? Is text differentiated in some way from the rest of the lettering? Is there a purpose? Is the lettering crisp, readable, and clean or is it hard to read the text? How are the captions and speech balloons shaped? Are they all the same or are there different shapes being used and do they serve as emphasis for the dialogue within them? Can you easily read the text within the speech balloons in the order it was meant to be read in? Do you naturally move your eyes to the next speech bubble? Is any text substituted with icons or pictograms? Why? How are sound effects used? Are they appropriate and effective for the action taking place? Are panel borders broken? Is the border breaking done deliberately or haphazardly (could be a mark of poor composition)? Are panels sized evenly in a grid or are they varying in size? How many panels are on a page? Too many? Not enough? Does the panel layout distract from the reading? Is there one panel bigger than the others? What in the panel makes it worthy of being a focal point? Do the panels have a natural flow or is it confusing to read–can you read the panels in a clear sequential order? Does the panel layout have some bearing on the emotional effect of a page? Does it emphasize a certain scene? Are there any unusual panel layout choices? How do they effect the pacing and tone of a page? Are there full page text sections? Are they used effectively to communicate something that wouldn’t work in a visual medium? Who are the writers? What’s their history? Is there anything notable about their style of writing? Does the writer have a body of work with specific themes being emphasized? Is there a recurring theme within the work? Are there reoccurring metaphors, ideas, or language? What do symbols or images they emphasize? Are there many cliches or tropes employed? If they are used, are they used creatively? 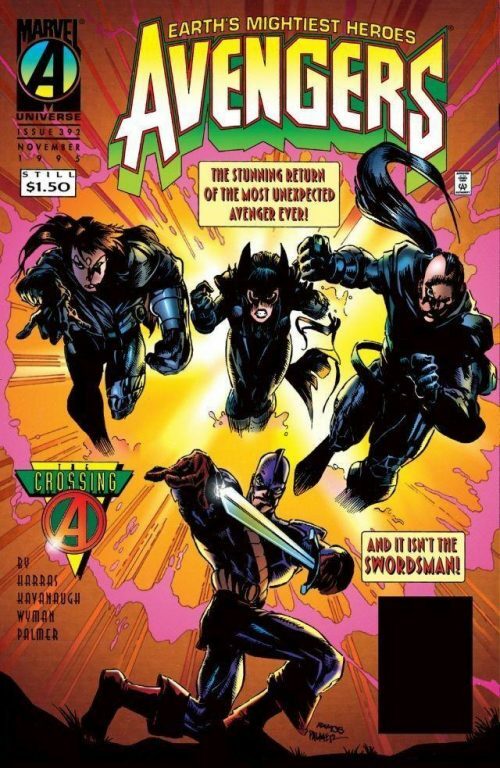 If you had to put the comic into a genre, what would it be categorized as? This isn’t hard and fast, rather it’s to get you thinking about the overall impression the comic gives. Does it work well within that genre? What is the primary perspective used? Is it narrated in the first person, second person, or third person? Is it some combination of them? Why? Does narration shift between characters? Has the writer said anything about the comic that might give some insight behind the scenes? How does this comic fit into the larger tradition or literature? 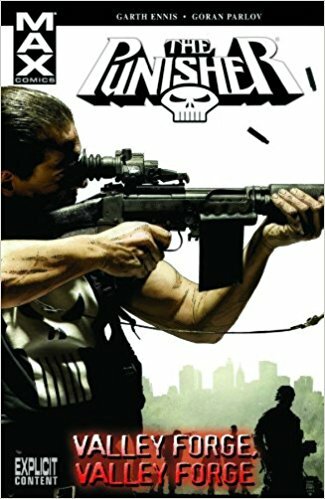 Any influences from other comic books? What kind of conflicts are there? Is it internal? Is it external? Is it both? Are they easy to discern or are they unclear? Are there overlong passages of text? Is everything expressed succinctly/concisely or does the writer seem unnecessarily long winded? How creative is the execution of the plot? I say execution because all stories, more or less, follow a similar structure. It’s in their execution–working within the bounds–that you can see creativity. Does the plot have a sense of movement? Does it maintain the reader’s interest? Are there subplots? What do they add to the main story? Are there any undeveloped story threads? Are there any storylines that are unresolved or seem to not lead anywhere? Does the story feel complete? Is there a resolution (even in an incomplete larger story arc there should be small resolutions within each chunk of story)? Does the plot maintain high enough stakes to create a sense of dramatic tension i.e. the characters have a need to act and move the story forward instead of just hanging around drinking cervezas on the beach for 40 pages? Does the plot echo any classic comic books–Dark Knight Returns, Watchmen, etc? Are there any little easter eggs or homages to other works? Is some myth or legend alluded to within the story? Is there heavy use of deus ex machina? Is it used deliberately or does it seem to be used as a plot crutch? Does the opening grab your attention and seduce you into reading more? Was the story paced well or did it feel rushed? Conversely did it feel like there was a lot of filler? Case study in ruining one of the most likeable Marvel characters. Which characters are likeable? Why? Which characters are dislikeable? Why? Are character actions consistent with their established personality? If something is out of character, is an explanation given? Do characters have realistic motivations? Do they act rationally? If they act irrationally, does it make sense for their character? Are characters written more cartoonishly or do they have more realistic, subtle personalities and motivations? Do characters stand out? Do they have unique traits and personalities or do they all seem bland and interchangeable? Do they have a unique voice? Can you identify the protagonist(s)? The antagonists? Is there a consistent type of antagonist? Does the protagonist keep fighting against similar villains that represent an overarching theme? What kind of relationships do the characters have with each other? How do they interact with one another? How do those interactions/relationships reveal insights into each character? What challenges does the protagonist face and how are they overcome? Are they overcome in a plausible manner? Are they overcome in a clever, character-consistent manner or is some external factor utilized? If the characters can be divided into groups, what do those groupings reveal about the conflicts/dynamics of the story? Many comics portray characters with special abilities or traits–are these abilities connected to each character in some way or do they seem randomly assigned? Which characters develop over time? How do they develop? Growth? 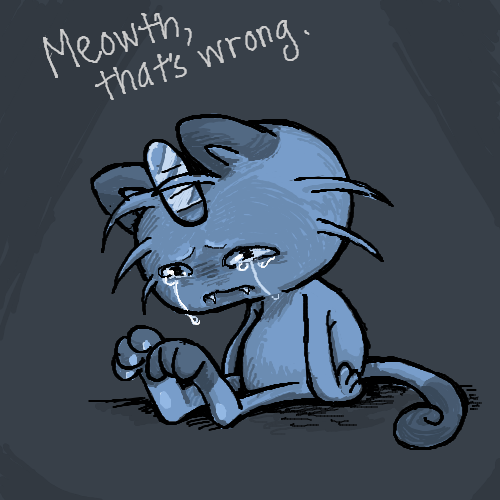 Regression? Which characters aren’t developed? Do any of the characters espouse recognizable ideologies? How does that inform the reader’s view on their behavior? Do the male and female characters have realistic differences in identities that feel authentic? Are they interchangeable? Do they have superficial gender differences? How realistic is the dialogue in the context of the story? It might be about fantastical things like superpowers and aliens, but is the dialogue still plausible? Does it sound natural or does it have a feeling of fakeness? Is there any clearly ridiculous dialogue? 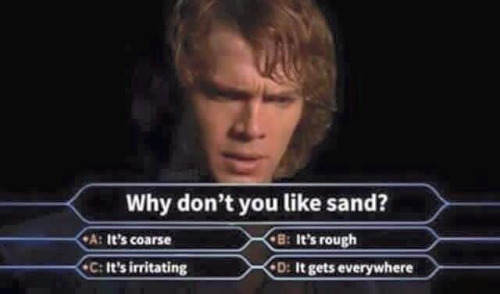 A good example would be Anakin’s monologue on the coarseness and roughness of sand in the Star Wars prequel series. How much is dialogue vs narration vs internal thoughts? What’s the balance between dialogue and narrative? Too much to one end or just right? Does the dialogue have character? Does it contain enough flavor to avoid blandness/boringness? You can just feel all the detail and stories waiting to be told in this expansively built world. Copyright me. Is there any world building done? How expansive or deep is the world building? How much background is given? Does it feel like there’s a whole larger universe where other stories could be taking place? Are there clearly defined rules/laws to how the story universe works? Is there consistency in the set of rules governing the world of that story? Are they followed well or are there moments where rules are broken, jarring the reader away from the story? How much exposition is devoted to setting the scene before characters talk? Reviewing is both easy and hard–you’re basically saying whether you liked something or not, but you have to articulate exactly why you feel that way. That’s why I came up with the questions for reviewing comics. They help you (and more likely me) to be more thorough in the review process and look at all the aspects of a comic to form a rounded picture. I’m not saying this list is exhaustive, but I am pretty proud that it’s the biggest list I could find. Anyway, use it or don’t. It’s up to you, but at least try to cherry pick a couple of questions to trigger some crit’ thinkin’. You likely won’t need to use all the questions and I don’t expect you to, but you could try while writing a super long-form review.